Kelly Armstrong is a Canadian writer, known for her series of fantasy and paranormal books. "Watcher in the woods" is, however, not one of those. 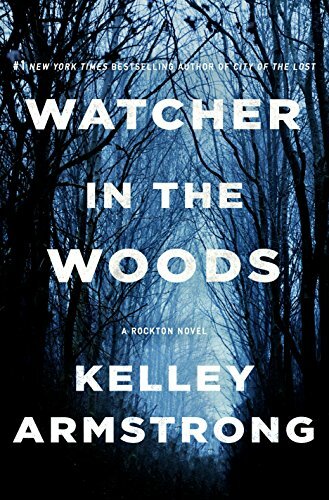 The Rocton series, with "Watcher in the woods" being fourth in the series, is a more reality-based suspense novel. No werewolves here. The story happens in a small village in the middle of Canadian nowhere. There is an eerie atmosphere in the book, with hostiles and overall feeling of isolation, albeit on purpose. The story shows a couple serving as a police force for the outlaws' community pulled me in. The appearance and murder of US Marshall reveal plenty of secrets hidden by the community members, even if each one of them had to undergo careful screening before being brought to Rockton. The main characters have to sort it all out, meantime dealing with other communal issues and personal lives. "Watcher in the woods" is a page turner, although at times I was getting lost among all the characters used to build the story. I enjoyed the unexpected bursts of humor in characters dialogs, a big plus for me. I was happy I reached for the book, even of the author outside my usual reading list. I have received a free copy of the book for the purpose of this review from NetGalley. The links in this post contain affiliate code. It is hard to say "no" to a good mystery. While I am not a big fan, I have been known to read Anne Perry, so just the thought of picking up a period mystery was not discouraging. I went for "Last stop in Brooklyn". 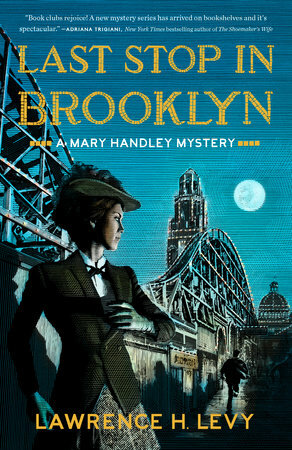 The book tells a story of female private detective, Mary Handley. In this story, she works on two cases, one what looks like a marital infidelity and another, of an unfairly convicted immigrant. The world of New York richess like Rockefellers and Carnegies meets dark alleys of night and day entertainment of Coney Island. Terrorist attacks and ideology and serial killer, murdering prostitutes. With a dose of corrupted police and justice system. Really, an interesting combination of current social issues, set over 100 years ago. I guess some things are universal to humanity thought a history - and this was one of the messages you can take from the book. Really, my only complaint about the "Last stop in Brooklyn" is that, while set in 1894, the story does not have the real feel of period novel. The language, the characters, it all feels too contemporary. Sure, if you doubt the authenticity of the facts, there is an "Author Note" at the end, explaining which facts were historical. And yes, you can imagine the Coney Island over 100 years ago, with non-existing buildings and atmosphere. Again, the characters, how they act and how they speak falls short. I have received a free copy of the book for the purpose of this review from Blogging for books. The links in this post may contain affiliate codes.